Arthur Busenitz was born to John A. and Justine (Wiebe) Busenitz on August 11, 1927 in Newton, KS. He was the last of eleven children but the first to be born in a hospital. His siblings were: John, Herman, Justina, Willie, Albert, Edgar, Margaret, Hedwig, Ben, and Elizabeth. Art grew up on the family farm two miles southeast of Elbing. He enjoyed ice skating on Henry Creek and hunting with his friends. He walked or rode his horse to Hunter School, and also attended six weeks of German Bible School every spring. He also completed two years of high school at Hesston Academy. Art accepted Christ as his personal Lord and Savior as a twelve year old when the Biola Quartet came to Emmaus. He said, “I remember feeling that I didn’t sin unless my dad found out about what I did. But, that night I was convicted of my sin and went to the front where a student led me to the Lord.” Baptized by Reverend J.C. Kaufman, Art became a lifelong member of Emmaus Mennonite Church where he served faithfully in many areas, including on the church board and as a Sunday school teacher. Farming was Art’s passion. Following his two years of high school, he farmed with Ben and also helped his other brothers, as needed. In 1952, he served in alternative service in the 1 Worker (1-W) program at the Grace Children’s Home in Henderson, NE. He made many good, lifelong friends. Following these two years, Art returned to farming south of Whitewater. About this time, a romance developed with Carolyn Claassen. They were married on June 10, 1954. God blessed this union with seven children. Serving with the Gideons International brought many opportunities to attend conventions as a family, and as a couple, they faithfully served in numerous offices. One of his special memories was being asked to go to the Philippines to hand out Bibles with twenty-five other men from the U.S. and other countries. Carolyn and Art also went with Operation Mobilization to Holland and Germany to help with the rebuilding of Logos II, a mission ship. He was a generous giver to missions and an encourager of missionaries around the world. His past times were listening to opera and classical music, reading Christian biographies, and singing. He had a beautiful voice and loved singing with the Emmaus Men’s Chorus, the Mennonite Men’s Chorus and even recently during chapel services at Wheat State. 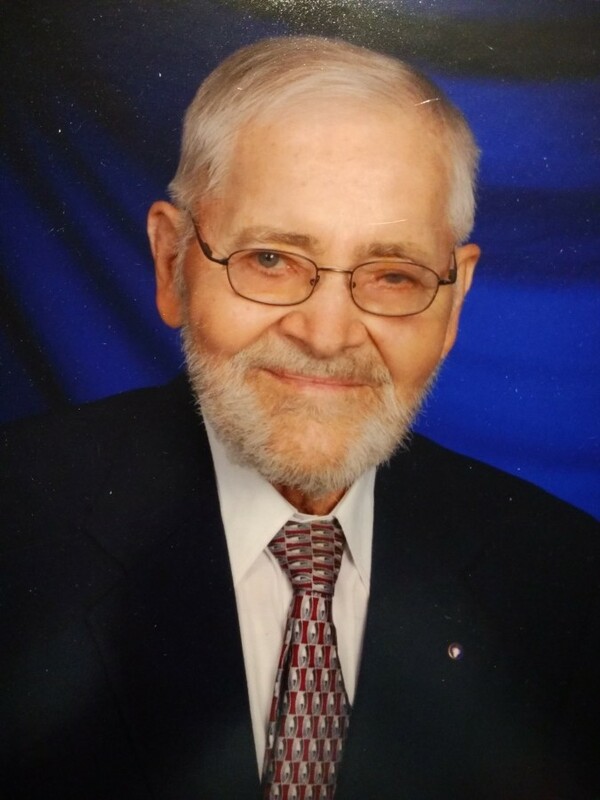 On February 4, 2019, Art went home to be with his Savior at the age of 91. He is lovingly survived by Carolyn, his wife of 64 years, his children: Jerome and Mary Anne Busenitz of Southhaven, MS: Steve and Julie Krahn of Derby, KS; Cathy and Chuck DeForest, of Florence, KS; Dwight and Diane Busenitz of Whitewater, KS; Susan and David Carp of Wichita, KS; Jeanette and Todd Marcy, of Holdrege, NE; and Tom Busenitz of Benton, KS; twenty-two grandchildren and fourteen great-grandchildren. His daughter, Marcia Krahn, and all ten siblings preceded him in death. As a family, we are thankful for the care Art received at Wheat State Manor. We also appreciate your presence as we honor our husband, father, grandpa and great-grandpa. Memorials have been established with the Gideons International and Wheat State Manor. A visitation will be held from 6 to 8 pm. Friday (Feb. 8, 2019) at Emmaus Mennonite Church, Whitewater. A memorial service will take place at 3 pm. Saturday (Feb. 9) also at Emmaus. | 120 S. Main St.
| 902 East D St.